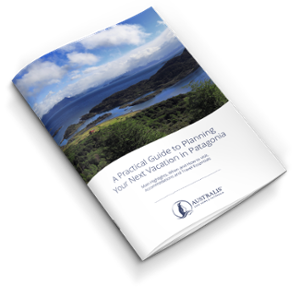 It’s surprisingly difficult to get hold of the up-to-date information you need for planning a holiday in Patagonia. This is where our ebook, A Practical Guide to Planning Your Next Vacation in Patagonia comes in. 10 awe-inspiring highlights that should feature in your Patagonian travel itinerary. How and when to encounter Patagonia’s abundant wildlife. When is the ideal time for visiting the region. Which types of accommodation to expect and the best online sites for making your reservations. How to travel around this vast region and take advantage of its well-connected transport network. Learn how to uncover Patagonia’s most spectacular gems with this exclusive download for subscribers to Australis.